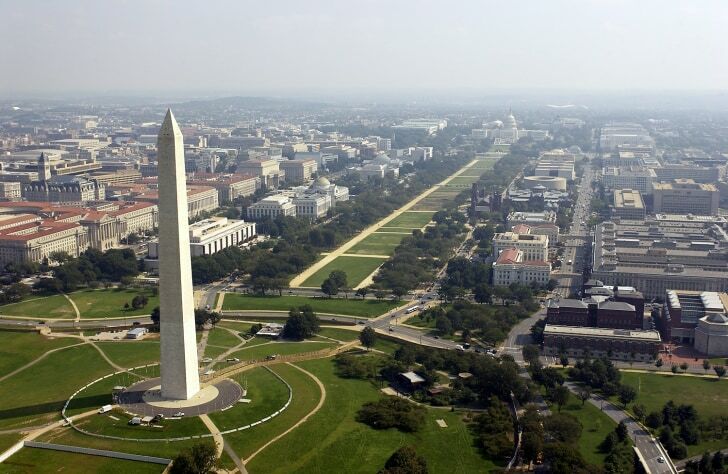 Frommer's guide to priceless fun in Washington, D.C.
Next story in 24-Hour Layover: Washington D.C. Best bets for a place to stay in D.C. 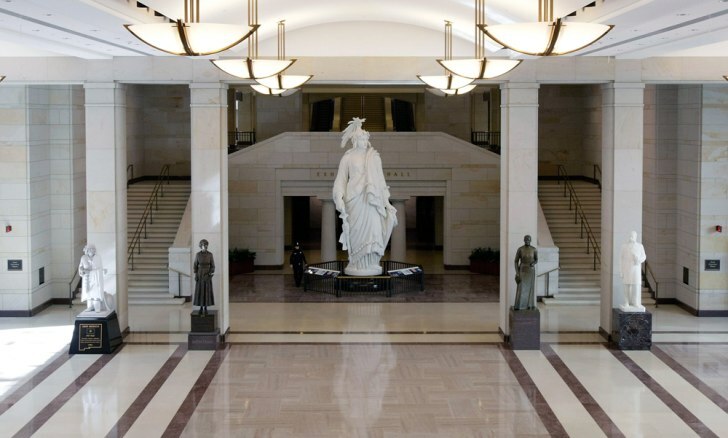 The plaster model of the Statue of Freedom, which was used to cast the statue atop the U.S. Capitol Dome, and other statues are on display in the Emancipation Hall of the Capitol Visitor Center, which opened in 2008. The Robert and Arlene Kogod Courtyard, with its elegant glass canopy designed by world renowned architect Norman Foster, is at the historic Patent Office Building that houses the Smithsonian American Art Museum and the National Portrait Gallery. The National Cathedral is the sixth largest cathedral in the world. It was designed in an English Gothic style and features gargoyles, angels, mosaics and more than 200 stained glass windows. There is even a sculpture of Darth Vader on top of the cathedral's west tower. When Union Station was completed in 1908, it was one of the largest train stations in the world -- if put on its side, the Washington Monument could lay within the station's concourse. It is considered one of the best examples of Beaux-Arts architecture. A sentinel from the elite 3rd U.S. Infantry marches as the sun rises above the Tomb of the Unknowns on Aug. 26, 2009, at the Arlington National Cemetery in Arlington, Va. More than 300,000 veterans from all of the nation's wars are buried on the grounds. The International Spy Museum is the only public museum in the U.S. dedicated to espionage. It includes the work of famous spies and pivotal espionage actions that shaped history. A candle sits in a lamp lighting the way for guests arriving to George Washington's Mount Vernon estate as Ben Schulz, left, and Steve Stuart wait for the gates to open Dec. 4, 2004, in Mount Vernon, Va.